In my opinion, there is no better way to showcase fresh seafood. One way of defining ceviche is simply fresh seafood cured in citrus or another acid, like vinegar. 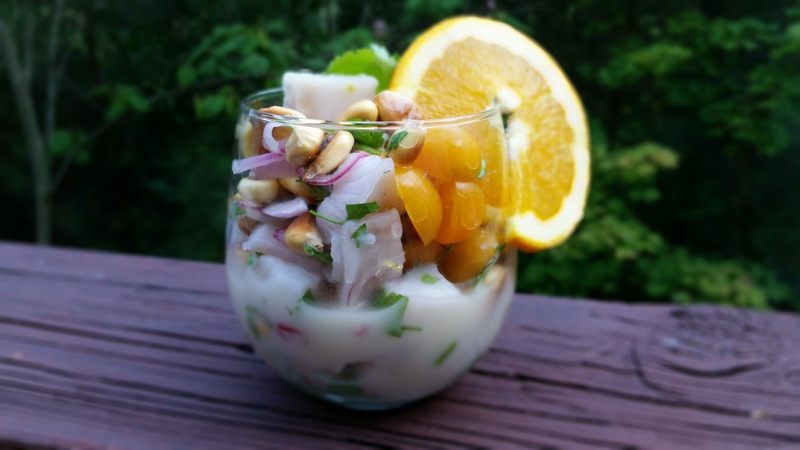 The origins of ceviche are a bit murky, with different schools of thought coming from Spain, South America, or the Philipines to name a few, but I’m not here to give a history lesson. 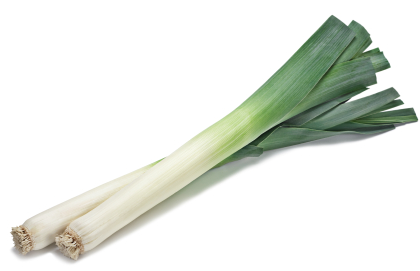 I’m here to talk about balance and flavor. It is such a simple thing to prepare, so why is it so mediocre in many different restaurants and home kitchens? It’s because many ceviches are very one dimensional, or one note. They have one flavor- acid or citrus. They have one texture- mushy. The best ceviches are a complicated medley of tart, sweet, and savory, accompanied with different textures. Do you know who can do this? Peruvians. 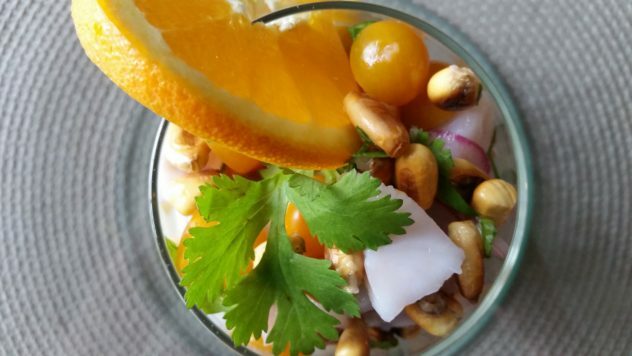 Peru is know for adding savory or “umami” notes to their ceviches. Two traditional ways in which they do this are by adding MSG, or a rich fish broth called “tigers milk” (how many of you are bummed out that this post isn’t actually about tiger’s milk?). Since MSG is a hard sell these days, we are making this recipe with the latter. We need a fish. I think Tilapia is a great vehicle for a ceviche. It is known by many as a delicate fish, but I find that it’s flesh is firm enough to grill, or to take an acid bath for a few hours. 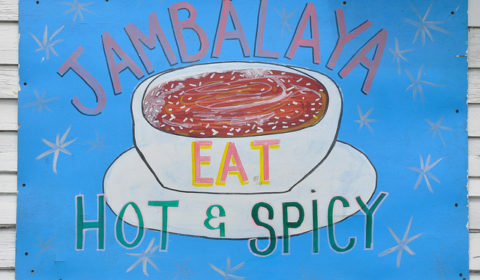 It’s neutral, mild flavor is the perfect canvass for many different flavors. When choosing fish, it’s always a great idea to select freshest possible, since heat is not being applied in this method. Many Latin cooks pre soak the fish in cold salted water to firm up the flesh before adding the lime. Cut the tilapia into 1/2 inch cubes, then add it into a mixing bowl with the juice of eight limes, 1/2 red onion (thinly sliced), 3 garlic cloves, and 1 habanero pepper. The habanero is there to lend a subtle flavor, not to burn everyone out of the building. Cut the pepper in half, then remove the ribs and the seeds. 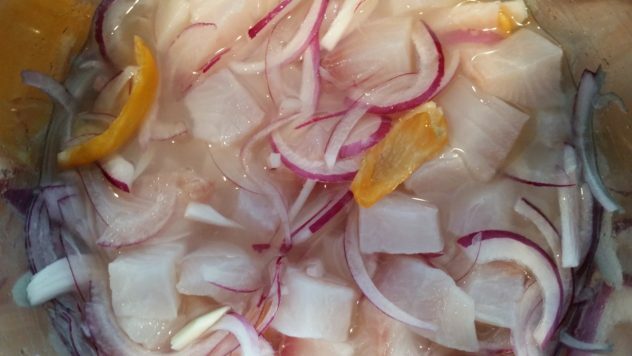 The flavor and the heat will lend itself to the ceviche. We are going to let this mixture soak for about 4 hours, or until the fish turns from translucent to opague. While that’s soaking let’s start the tiger’s milk. 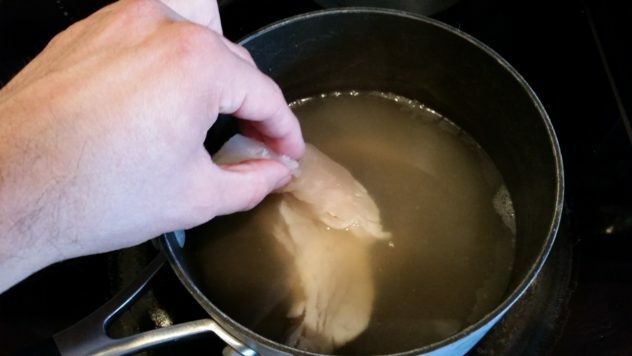 Take a pound of fish bones and add to 1 qt of cold water. Slowly bring to a boil. Add one red onion (quartered), 3 bay leaves, 1 tbsp coriander seeds, 1 tbsp black peppercorns, 1/2 lemon and 4 sprigs of cilantro. Reduce to a simmer and let go for 45 minutes. Fish stocks should really go no longer than 45 minutes or the bones will deposit calcium salts in the broth, giving it a chalky taste. Remove from heat and strain. Add the strained stock back to a sauce pot and heat on the stove again. Add 1 cup of boneless fish trimmings, and heat just until the fish is cooked through. Process the broth in a blender until there are no large chunks of fish left. Strain and set aside. 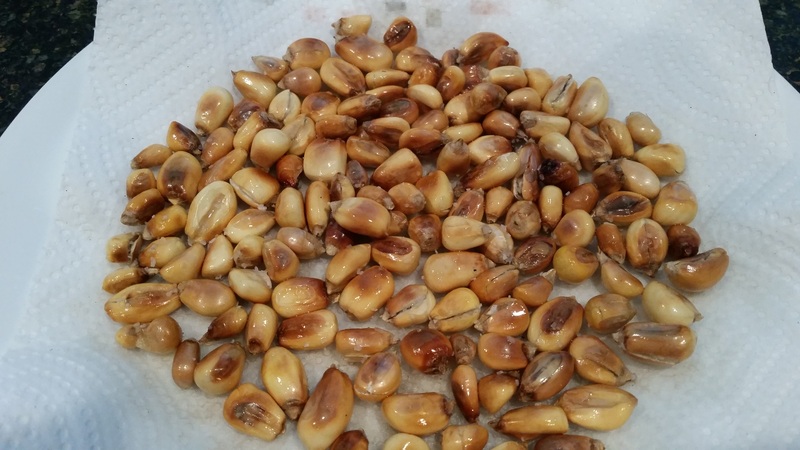 Now for my second surprise ingredient…Peruvian Inca corn kernels. These are much larger and starchier than the corn kernels we’re use to here is the states. They taste bland when you first pop them in your mouth, but then a slow, lingering corn flavor releases. They are strangely addictive. I had to force myself to stop eating them before my recipe was done. 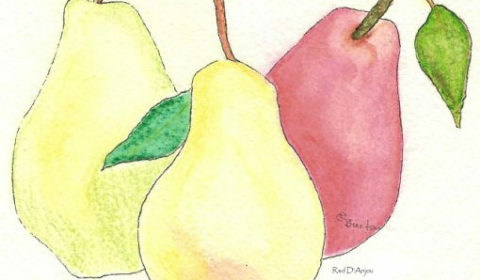 Pour a little olive oil in a pan, and toast the kernels until evenly brown on all sides. Remove and salt generously. 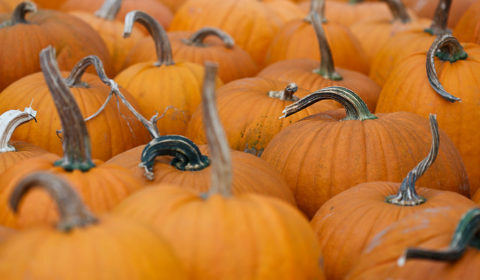 Careful, as these guys will pop right out of the pan when heated. Shake the pan a lot when heating. These will contribute taste and texture to the dish. Inca corn kernels can be found in Latin markets or online. If you can’t get your hands on these some, the recipe is still wonderful without them. Drain the fish, and discard the habanero pepper and garlic. In a mixing bowl, combine the fish with 1 cup of halved sun gold tomatoes (regular cherry will also do), 1/4 cup of the tiger’s milk, 1/2 cup of chopped cilantro, 1 cup of the corn kernels, and 3 tbsp of the orange juice. The sun gold tomatoes and orange juice contribute a touch of sweetness to the dish. Add salt to taste and serve! 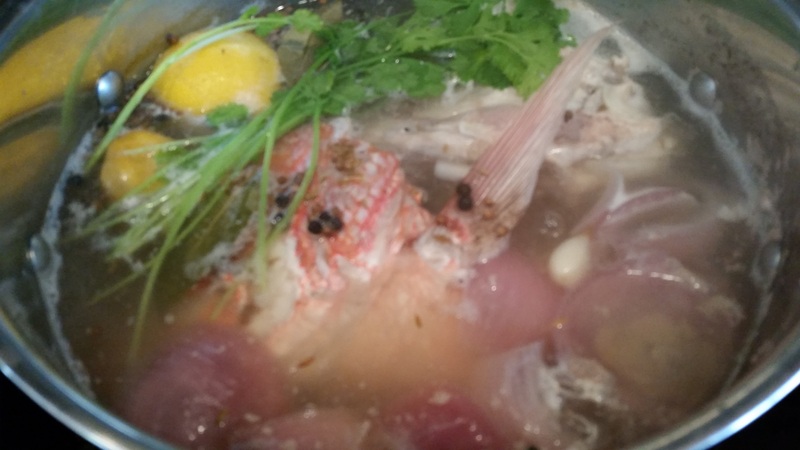 Place the fish bones, along with the onion, lemon, herbs, and spices in a pot of cold water. Bring to a boil, then reduce to a simmer. After 45 minutes, remove from heat and strain. Return the fish stock back to the stove in another sauce pot. Add the fish trimmings and simmer until done. 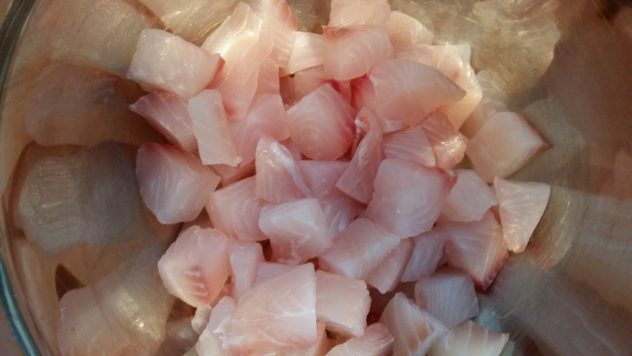 Remove and process in a blender until there are no chunks of fish left. 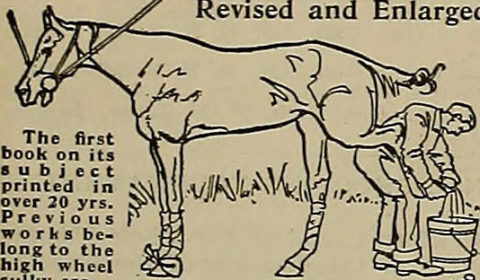 Remove, strain, and set aside. In a mixing bowl, combine the tilapia, red onion, garlic, habanero pepper, and lime juice. Refrigerate for 4 hours, or until fish turns opague. Drain and discard the pepper and garlic. In a mixing bowl, combine fish with the sun gold tomatoes, cilantro, 1/4 cup of the tiger’s milk, corn kernels, orange juice, and salt to taste.